Analysts at Morgan Stanley are predicting sunny days ahead for the Macau casino industry, forecasting up to 24% market growth for the gambling Mecca’s six casino operators over the next two years. At the same time, however, the casino re-tendering process set for 2020, when the first of the existing operators licenses are set to expire, and increasing competition from China and Japan look set to disrupt market growth in the near future. 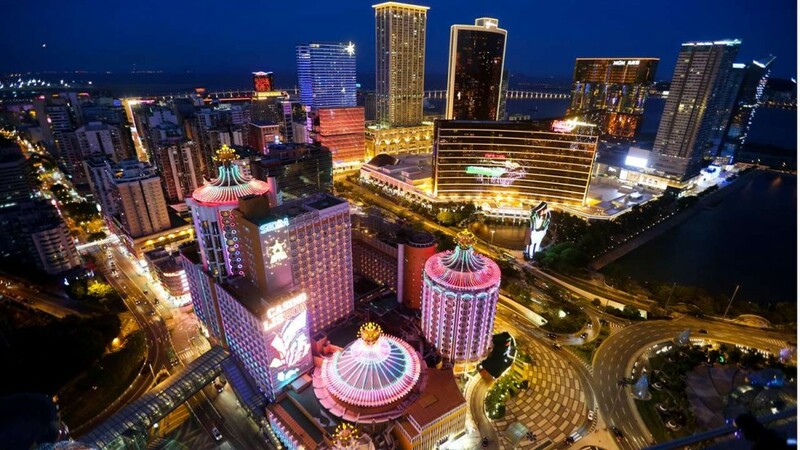 In a recent report, Morgan Stanley analysts wrote that the Macau’s six casino operators total market value could hit $146 billion, up from its current $118 billion, over the next two years as a result of a predicted compound annual growth rate of 13%. Despite the sunny outlook, clouds linger on the horizon. 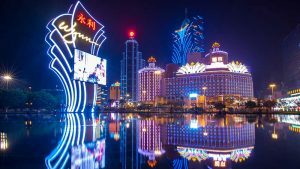 Starting in 2020, the first two of Macau’s six casino operators, SJM Holdings Limited and MGM China Holdings Limited, will see their casino licenses expire, with the remaining four operators; Wynn Resorts Limited, Las Vegas Sands Corporation, Galaxy Entertainment Group and Melco Resorts & Entertainment Limited set to expire within four years. After years of enjoying limited competition in the world’s most explosively growing casino market, the big six may be in for an unpleasant surprise. The government of Macau has proposed a casino re-tendering process, as opposed to simply reissuing the licenses, as a way to reap the benefits of the lessons learned over the years and better serve the local community. 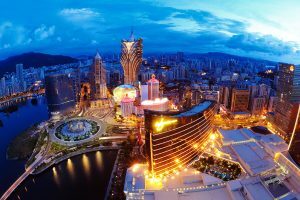 While it is possible that the re-tendering process will begin in the next few years, there is some speculation that Macau’s new Chief Executive, who will take over on 20 December 2019, could issue short term license extensions and delay the process by up to five years. The re-tendering process provides the Macau government the opportunity to implement a wide-range of public policy decisions that could dramatically reshape the tourism environment in Macau and the rapidly developing Cotai Strip. Macau has long reaped a whirlwind of benefits from mainland Chinese tourists, primarily whales on gambling junkets, who have dramatically spurred the city’s casino revenue growth. With over 50% of casino revenues coming from Chinese VIPs, Macau casino operators have bent over backwards to serve them only to learn that decisions made in Beijing regarding what is and is not acceptable directly affect the city’s revenue streams. For example, in 2014 to 2015 a decision by the Chinese government to crackdown on corruption lead to a dramatic decline in Macau casino revenues, as junket trips were shut down and mainland Chinese organizers jailed. Beijing has since eased up, but Macau is well aware that the wishes of Beijing are a key component of future prosperity. For its part, the government of Xi Jinping has expressed a desire to see the city and its coveted Cotai Strip pivot towards developing family friendly resorts and move away from gaming. Not so long-ago Las Vegas made the same decision in a move that lead Sin City out of years of stagnation and saw non-gaming revenues quickly rise to comprise over 50% of total tourist revenue. That’s where the re-tendering process could prove critical. Re-tendering will give the government of Macau the opportunity to force casino operators to focus on non-gaming revenue streams and diversify their offerings away from the heavy focus on Chinese VIP gamblers. Operators who fail to meet the new license tender criteria could see their licenses stripped or sold and the cosy oligarchy of the big six opened up to new competition. The other potential disruption that Morgan Stanley analysts say could see total market value drop by as much as 41% from their 2020 estimate and shave up to 27% off the gambling hub’s current $118 billion market value, is Macau’s neighbours, namely Japan and China. Just last week the Diet of Japan, the country’s equivalent of a Congress or Parliament, moved to legalize casino gambling at integrated resorts in the world’s third largest economy. Major operators the likes of MGM Resorts International, who has said it is ready to invest up to $10 billion were it to receive one of a handful of gaming licenses expected to be issued in the near future, and Las Vegas Sands, who have been active in lobbying the Japanese government and have also offered to cough up billions, are already in line in hopes of a piece of the pie. Effective development of the integrated casino resort market in Japan could be a big drain on Macau, were its offerings not to remain highly competitive via market diversification. Hainan, Singapore and Manila are all also poised to pick up a piece of the spoils that have seen Macau far surpass Las Vegas as the world’s gambling capitol. “Competition from ASEAN (the Association of Southeast Asian Nations) gaming destinations has grown, yet the market remains too small compared to Macau. With the potential opening of Japan and Hainan, the pie could shrink meaningfully (for Macau),” the analysts explained as reported by media outlet Calvinayre. At the end of the day, Macau’s future will depend largely on the city’s government making the right decisions in the coming years regarding how to develop the city and the lucrative Cotai Strip to both placate Beijing and confront mounting external competitive pressures.